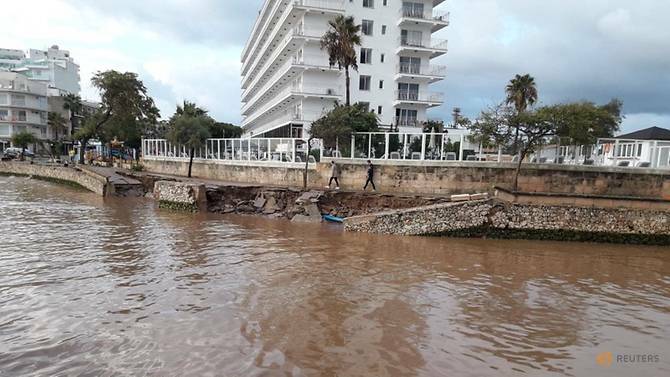 At least eight people including two Britons were killed as heavy rain and flash floods hit the Spanish island of Mallorca late on Tuesday, Reuters cited authorities as saying. Torrents of brown water swept cars along narrow streets in the eastern town of Sant Llorenc. Rivers burst their banks and swamped roads and people’s homes - forcing some to take shelter in a sports center in the nearby town of Manacor. “It’s been a huge storm. In just two hours, some 180 liters of rain fell and we realized that we could not control the water,” Bauza said. Two men were found dead around midday on Wednesday - one in the northeastern town of Arta and another at S’illot further south on the coast, emergency services said on Twitter. Sanchez’s office said the prime minister was traveling to the area. Lawmakers held a minute’s silence before the weekly prime minister’s question time on Wednesday morning.